Hatfield Plantation Shutters by Just Shutters. Our local expert Tom Parrott (pictured below) is your regional specialists and passionate about providing beautifully bespoke shutters. He can carry out a free home design visit to fully understand your vision for your interiors, ultimately being able to provide the perfect shutters for you. Call your local Hatfield Plantation Shutters experts today to arrange your home design visit on 01727 221 298. – Also, all of our shutters come with a lifetime guarantee! Furthermore, we understand that your home is your pride and joy so unlike many others we ensure your house is treated like a home and not a building site. 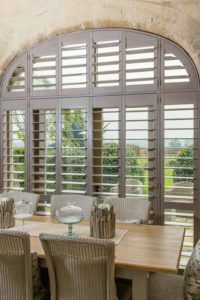 To view some examples of our shutters and get your inspiration flowing, browse through our galleries here. Call 01727 221 298 to discuss further with our team or to book a free home visit. During the visit Tom can show you all several samples and discuss your ideal interior, consequently getting a real sense of how our shutters will work in your home. Request a brochure or get an online shutter quote estimate now. WHY CHOSE JUST SHUTTERS HATFIELD? It is simple – Just Shutters Hatfield have an outstanding reputation and extensive range of shutters. We would be delighted to show you exactly how we have earned this over the years. call us on: 01727 221 298 to discuss your next steps and book a home design visit. We are the Hatfield Plantation Shutters experts and are immensely proud of the feedback and reviews they regularly receive from their happy customers, read some of the positive testimonials for the team below. Furthermore, we have more than 1600 unbiased reviews and an incredible 9.9/10 rating on Checkatrade – click here to view our profile. Installation of shutters in our lounge bay window and bedroom window. Beautiful shutters fitted to our bay windows.